Piles of salt lay on the salt flats of Uyuni, Bolivia, where the population has harvested salt for years. 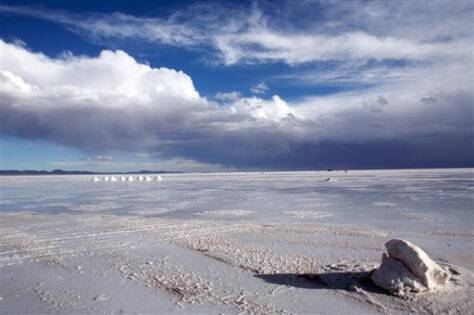 Underneath the salt lies the world's largest lithium reserves. Lithium is the key component for electronics batteries and electric car batteries.